Chan Tien Lok is the founder and Non-Executive Chairman of our Group. He was appointed to our Board on 10 October 2013. Chan Tien Lok has over 14 years of experience in the security products and solutions industry. He is the executive chairman of IPS Group Pte. Ltd. ("IPSG"), which was founded by him in 1986. He is responsible for the overall business development and strategic planning within IPSG. Prior to the founding of IPSG, he was the managing director of United Machinery Services Pte Ltd(now known as Denyo United Machinery Pte.Ltd.) where he was responsible for managing the company's overall operations from 1979 to 1986. From 1976 to 1979, he was the sole proprietor of Danill Machinery Services. From 1973 to 1976, he was the service manager of Auto and PlantServices Pte Ltd.piercing alert tones. Kelvin Lim is the Executive Director and CEO of our Group. He was appointed to our Board on 10 October 2013. He is responsible for the overall business development, strategic planning and operations of our Group. Kelvin Lim has more than 13 years of experience in the security products and solutions industry. He joined our Group in 2008 as division manager of the general security division in IPS Securex, and was promoted to senior vice president in 2012. In January 2013, he was appointed as the CEO of IPS Technologies Pte. Ltd. ("IPSG"). In July 2013, he stepped down as CEO of IPST and was appointed as CEO of IPS Securex. Ong Beng Chye is the Lead Independent Director of our Group. He was appointed to our Board on 6 June 2014. Ong Beng Chye has over 20 years of experience in the financial sector. He joined Appleton Global Private Limited as director in 2007 and is providing business management and consultancy services. He is also presently serving as an independent director of Geo Energy Resources Limited, Hafary Holdings Ltd, Kitchen Culture Holdings Ltd and Heatec Jietong Holdings Ltd. In the past, amongst others, he was an executive director and chief financial officer of Time Watch Investments Private Limited, a watch manufacturer and retailer, an executive director and vice-president of SAC Capital Private Limited, a corporate advisory firm and a senior manager in Deloitte & Touche LLP in Singapore. Ong Beng Chye is a fellow of The Institute of Chartered Accountants in England and Wales, a Chartered Financial Analyst conferred by The Institute of Chartered Financial Analysts and a non-practising member of the Institute of Singapore Chartered Accountants. He graduated with a Bachelor of Science with Honours from The City University, United Kingdom in 1990. Tan Peng Chin is the Independent Director of our Group. He was appointed to our Board on 6 June 2014. 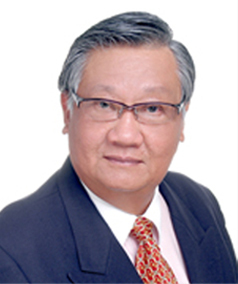 Tan Peng Chin has over 30 years of experience in legal practice. He was admitted as an advocate and solicitor of the Supreme Court of Singapore in 1982 and thereafter practiced as a legal associate at Freshfields from 1983 to 1987, before joining Wong Yoong Tan & Molly Lim as managing partner in 1987. 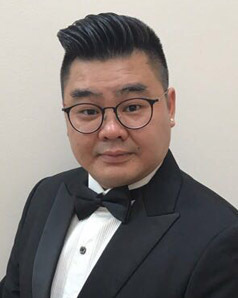 In 1994, he founded Tan Peng Chin LLC and oversaw the company's practice as managing partner/senior director until 2014 when he became a consultant in the company. In addition, Tan Peng Chin was an Independent Director of Armstrong Industrial Corporation from 1995 to 2014 and since 2007, he has been an Independent Director of OM Holdings Limited, a company listed on the Australia Stock Exchange. He also sits on the board of other companies in Singapore as well as overseas, and is a Notary Public and Commissioner of Oaths in Singapore. Tan Peng Chin graduated with a Bachelor of Laws (Hons) from the National University of Singapore. He is a member of the Law Society of Singapore and the Singapore Academy of Law. Kenneth Goh Fuqiang is an Independent Non-Executive Director of the Company and was appointed to the Board on 31 January 2018. Kenneth Goh is currently the director of 28 Holdings Pte. Ltd and StoneRidge Capital Pte Ltd. He served for five years (2013 to 2018) as an Independent Non-Executive Director of N2N Connect Berhad, a Malaysia company listed on the Kuala Lumpur Stock Exchange (KLSE). Kenneth Goh was previously Director of Corporate Strategic Development at Asiatravel.com from 2011 to 2012. Prior to that, he was an Associate with the Government of Singapore Investment Corporation (GIC). Kenneth Goh holds a Bachelor of Engineering (Biomedical Engineering) First Class Honours degree from Imperial College, London, and a Master of Science (Management Science & Engineering) degree from Stanford University.